I don't understand why this has not sold. Try advertising in America through Khaki Corps imports. 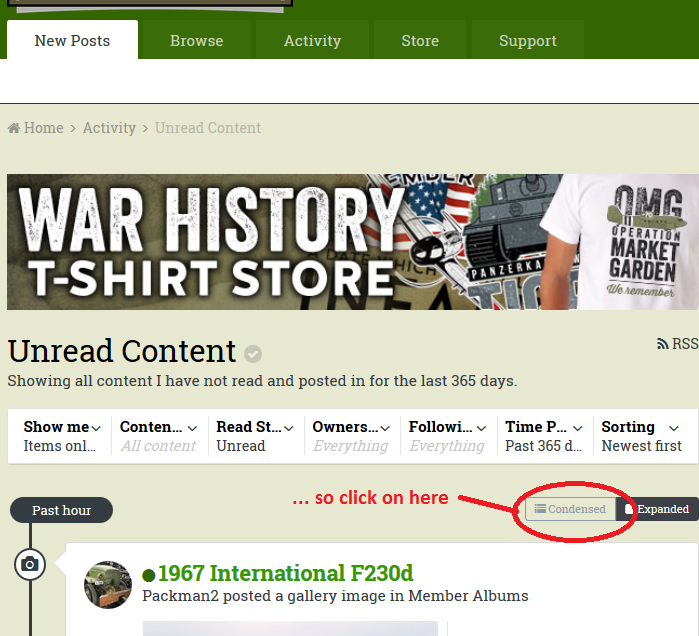 You can find the condensed button above and to the right of listing of forum content, such as on the page you get by clicking the 'Next Posts' button. See the picture below. Its like being handed a smart phone having never had a mobile before. Unfortunately, my default position is not to spend hours playing with it to try and get it to work. Shame really as I don't know of a similar forum where I can transfer to but this is the hardest forum to make work out of the few that I use for various hobbies. Blast blast blast............ I threw one of those out a while ago, not knowing what it was. Sorry. Thanks mate - GOT IT - I will be very careful. Should I ground spike it when running? Thanks Richard. It should be fitted with a starter generator but I suspect that my item is not the proper one for it.